It’s my belief that having an extraordinary relationship is the ultimate goal in life. Without a loving and amazing partner to share your life with, all of the wonderful things that happen aren’t as fulfilling. Having that special someone by your side enables you to get the most joy and love out of this human experience. About a year and a half ago, I did a personal growth and development program called The Ultimate Edge, by Tony Robbins. It was the single most powerful cd/dvd/workbook program I’ve ever done. It helped me transform my life, and one particular exercise was especially powerful. The name of the exercise is Design your Ideal Mate. This exercise is all about clarity. Think about it…how hard would it be to find your ideal mate if you don’t even know what you’re looking for?! Following these steps is the perfect place to start if you’re on the hunt for your ideal partner. If you’re already in a relationship that you would like to enhance, this process can help deepen your love for each other and allow you to meet more of each others needs. Get out a journal or piece of paper and write down everything you can think of regarding your ideal mate. What do they look like? What’s their personality like? What kind of characteristics, qualities and habits do they have? If this is hard to do, you can start with step 2. Most people have a much easier time describing what they don’t want in a romantic partner! Write about everything you can’t stand in a romantic partner. What types of things do they say? How do they behave? What are their values and beliefs? What do they look like? What kind of family do they come from? 3. What Type of a Person would you have to be to Attract your Ideal Mate? If you really want to attract the person you designed in Step 1, you might need to step up your game! Take an honest look at yourself. Can you currently attract the person you seek without changing anything about yourself? You need to become the kind of person you would like to attract. Describe the beliefs, values, behaviors and characteristics you would need to have to be worthy of the mate you designed. Obviously you won’t be able to get every single thing you want in your ideal mate. Decide right now what you are willing to live without, and what you absolutely need. 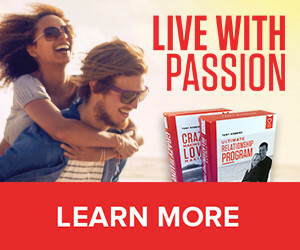 Review the descriptions you came up with in Steps 1 and 3, and circle the traits that are an absolute must for your ideal mate, as well as for the person you must become. To get where you want to be, you need to know where you currently are. Review your “must” items you just circled. If you’re already in a relationship, rate these items on a scale of 0-10, start with yourself and then rate your partner on how well those needs are being met. If you’re not in a relationship, simply score yourself. Review the description from Step 3 and rate yourself on a scale of 0-10. This way you will find out how far you have to go to become the person who can attract your ideal mate. Where are you going to find this special someone? Where do you need to hang out? Who do you need to talk to? Create a plan for the next 30 days. You’ll need to figure out what types of places you might find this ideal mate, then make sure you’re in close proximity on a regular basis.